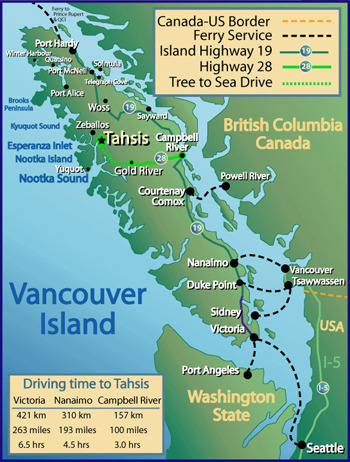 Victoria is located on the southern tip of Vancouver Island, which is the largest of British Columbia's 6500 islands. It is Western Canada's oldest city. The city began in 1843 as a Hudson Bay Company trading post and is today the Capital City of B.C. 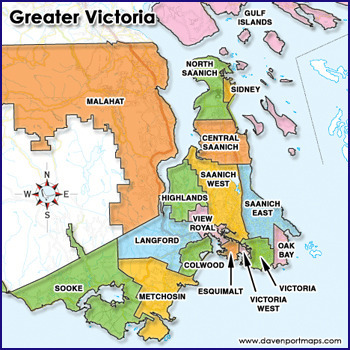 The population of Victoria is approximately 78,000 people with the population of Greater Victoria being around 338,000. The area is expected to approach 400,000 by the year 2020. Known as the "Garden City", Victoria is blessed with great beauty and character and offers a temperate climate that is the best in Canada. The quality of life in Victoria is extremely high. In a survey conducted by Conde Nast Traveller magazine Victoria was judged to be one of the world's best cities, topping the list in the category of environment and ambience. In a cross-Canada survey Victoria residents registered the greatest satisfaction with their city. The city also offers easy access to the regions stunning landscapes and recreational opportunities. Surrounded by ocean and mountain vistas, Victoria's real estate opportunities abound: a character residence in Oak Bay, a downtown penthouse overlooking the inner harbor, Straight of Juan de Fuca and the Olympic Mountains, a private island unto yourself or a world class waterfront home, the choices are inspiring.